The Barkby bariatric high back chair is an extra wide chair designed for larger/heavier users. The chair is also adjustable in overall height, seat depth and back height to provide varying user support/comfort. Max User Weight of 40 stones. 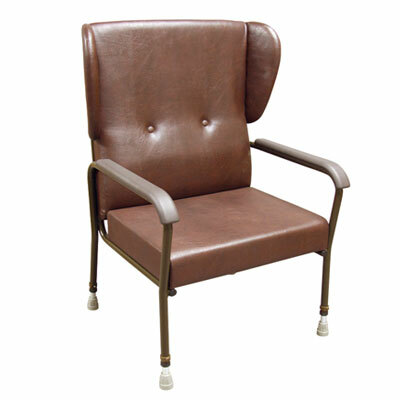 The Barkby bariatric hight back chair is an extra wide chair designed for larger/heavier users. The chair is also adjustable in overall height, seat depth and back height to provide varying user support/comfort. The Seat height adjusts with e-clips, whilst seat depth and backrest height adjust with wing nuts for ease and versatility of use. Theres also built in lumbar support which can offer increased comfort, varying in position according to backrest height.